Back-to-school season is an exciting time for kids, especially the younger ones. But, for parents, it means getting back into a regular routine. And your car is a vital part of keeping that routine running smoothly. Typically, back-to-school means that you’re going to be doing a lot of transporting your kids to and from different events. Therefore, be sure that you’ve scheduled your regular maintenance such as having your tires rotated, an oil change, and a brake inspection. These are essential maintenance items at this time of the year. For additional peace of mind, it’s also a good idea to prepare for the winter months by having your car’s winterization completed. Winterization includes changing the antifreeze and inspecting the coolant system for any leaks. 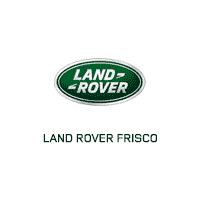 You can have your maintenance completed by scheduling an appointment with Land Rover Frisco’s service department. Call us, or make an appointment online using our service scheduler.